About | Aviation Management Repairs, Inc.
AMRI is your one stop shop for complete maintenance solutions. Aviation Management & Repairs, Inc. (AMRI) is an independent FAA 145 Approved Repair Station based at the St. Lucie International Airport in Fort Pierce, FL, USA. Our mission is to provide high quality, superior service you can trust. 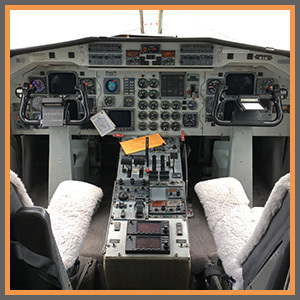 Aviation Management Repairs’ highly qualified staff provides avionics services for all types and sizes of aircraft. 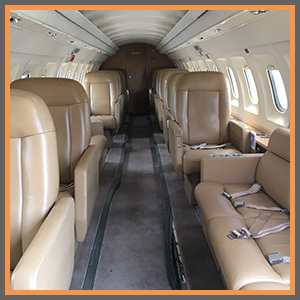 A few of our services include Garmin Installation, Aspen Installation, Navigation and Communication installs, many upgrades including transponder ADS-B upgrade, as well as complete wiring harness builds. We have overhaul capabilities for several components for the DHC6-300 including low oil pressure switches and fuel probes. Our techs are available for troubleshooting and rectification of defects as well as regular 2 year transponder, altimeter, pitot, and static checks. 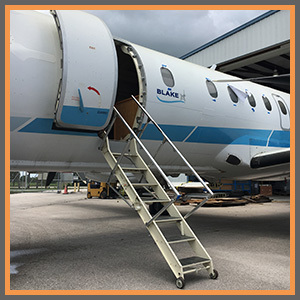 Molded with the vision to provide complete Maintenance, Repair and Overhaul services for commercial, regional, and private Turbo prop and Jet aircraft worldwide. Our state of the art 13,000sqft facility allows us to accomplish multiple projects on a daily basis with a highly skilled team of maintenance engineers. Our Avionics Department has a knowledgeable staff with many years of experience. Our installation and repair technicians are among the best on the industry. We take great pride in the work that we do Our goal is to provide not only the best service, but to treat our customers with the respect and compassion they deserve.